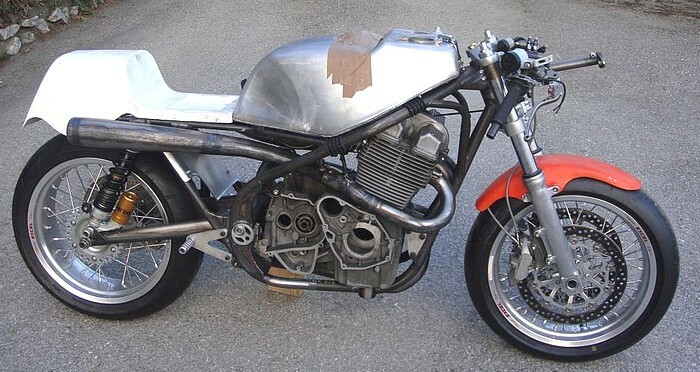 Next step, the engine. 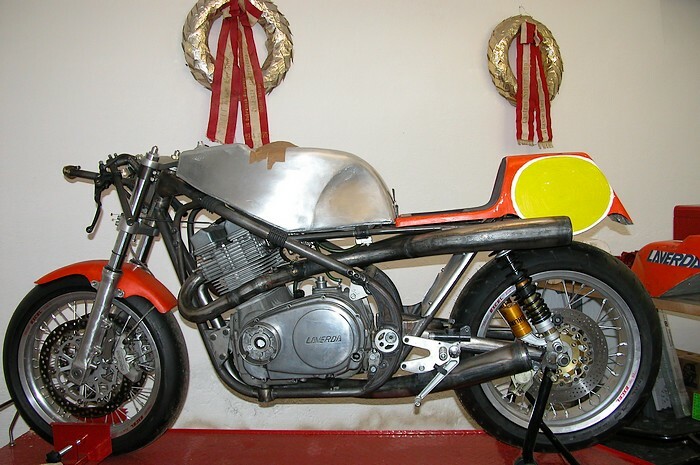 Due to the very radical modifications, Franz intends to built it in about 3 years. 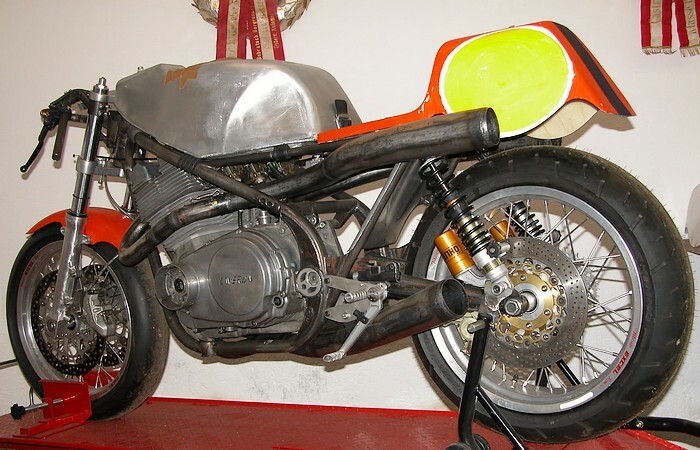 December 2011: Update on the engine work! 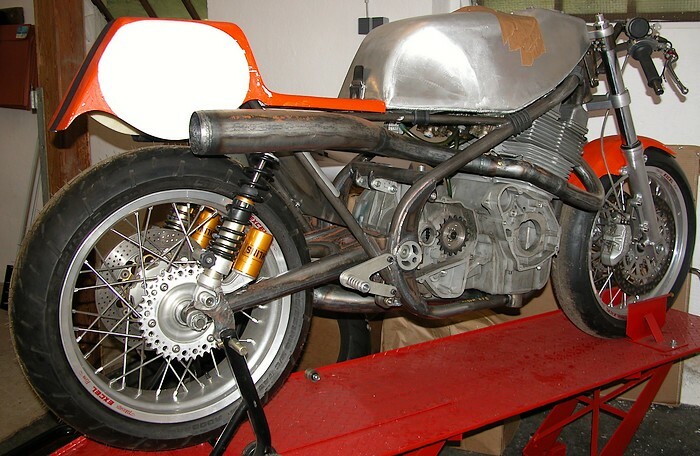 The work on the engine has finally begun. 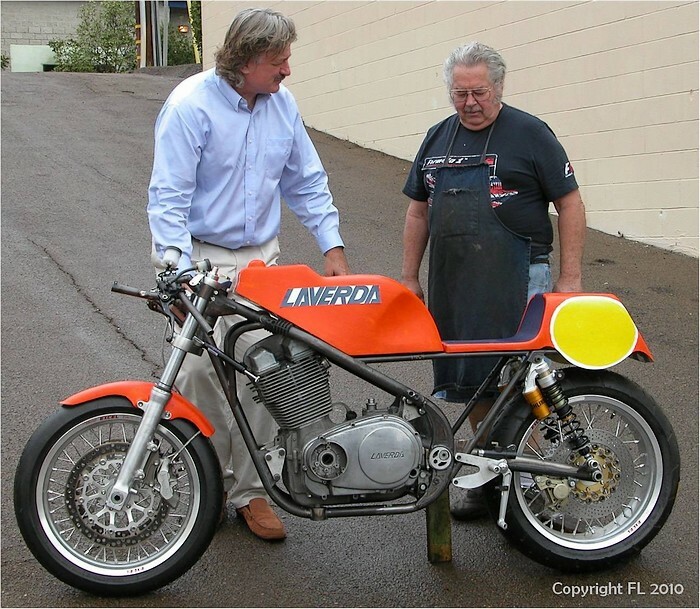 The least I can say is that it is as huge as the amount of work that had been already done on the chassis! 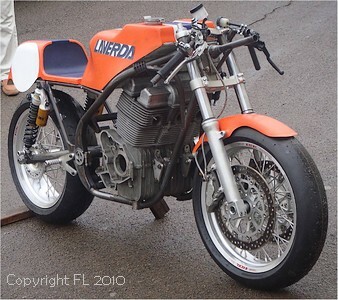 The 1rst one (B83) is built to cope with the European classic races regulations so it has to keep the original stud bolt position, barrel and cylinder head casting, timing chain drive and sprockets, camshaft bearings and crankcase. 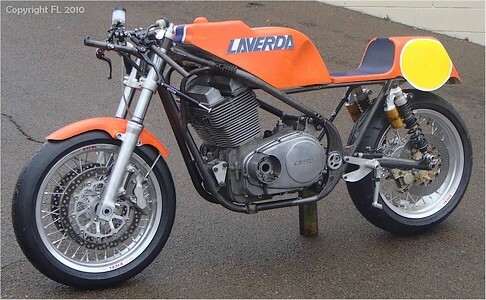 On the other hand it has to be improved a lot to compete with the best bikes of the moment, so very radical changes will have to be done internally, still with respect to regulation. 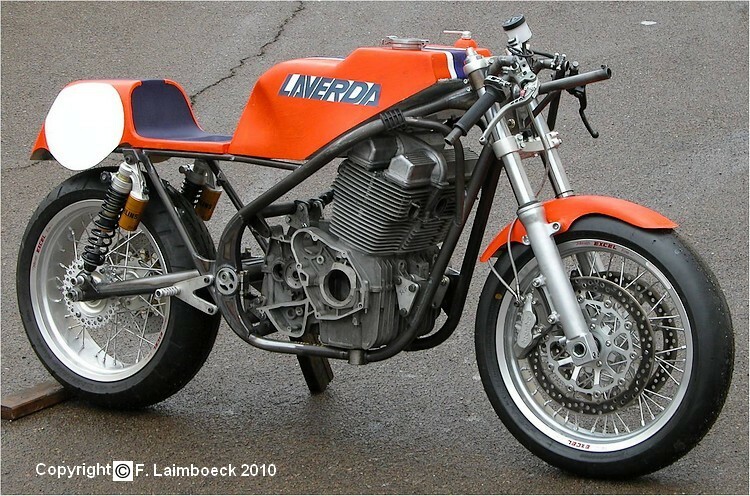 All the internals will be changed actually with the goal to conceive a totally new engine with a level of technology still unknown for the brand. 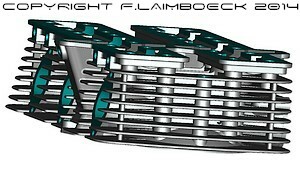 Big F1 type 83mm pistons especially built for this engine, cylinders Nikasil coating (no liners), longer conrods, different crank bearing sizes, bigger valves, new camshafts, new tappets, new timing sequence and balance factor, new combustion chamber shape, all CAM programmed and CNC machined. Output power should be around 144 hp to the wheel. 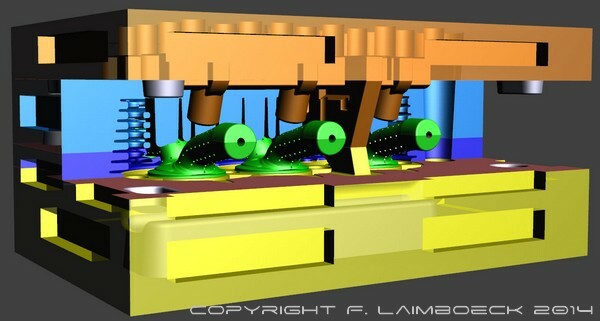 The 2nd engine (B88) will be totally new, all the casting, shapes, external and internal parts will be CNC built from zero with the most modern materials and technology. Part sizes and power will be even better than the 1rst project. All the skills that Franz is able to will be put into this project. 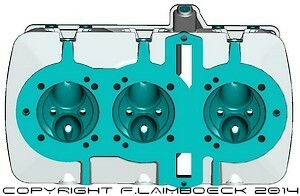 A totally new cylinder head, higher that the original, will be designed and built. 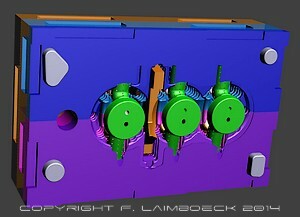 CNC machining tests of the combustion chambers and ports are being programmed very soon for this particular engine. 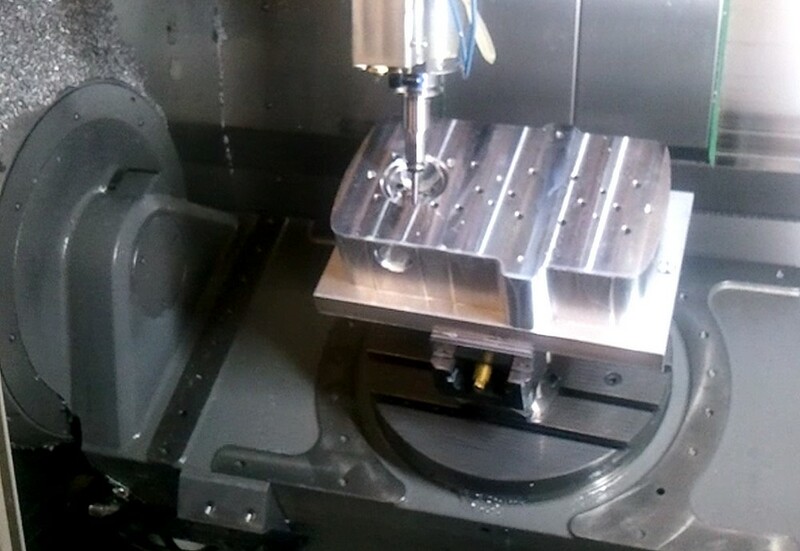 Last weeks have been used to program the software to CNC machine the combustion chambers and the ports. 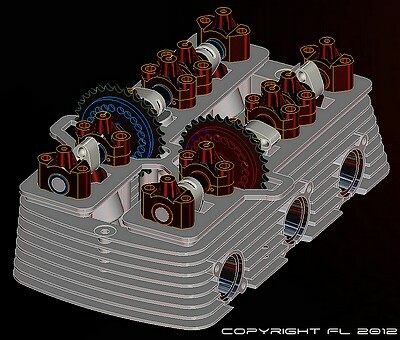 The number of hours spent to design the new cylinder head is beyond all one can imagine. 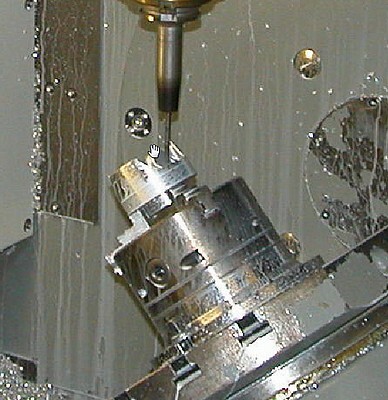 The machine shown on the picture is one of the rare 5 axis CNC machine. No need to say that common human brains cannot imagine the cost of such a tool + the special software!! While the first dummy of the cylinder head has been done using the 5 axis CNC machine, work went on by studying the valve train, cams and pistons. 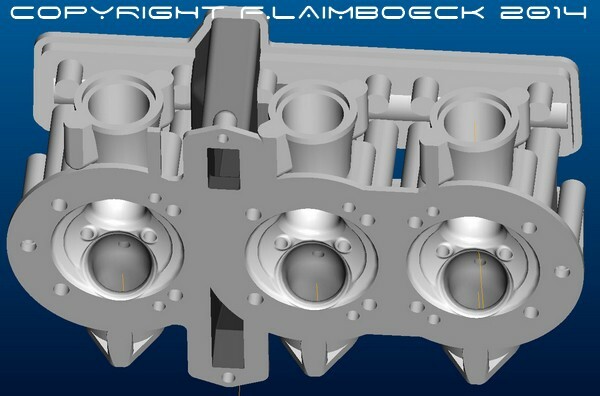 This resulted in this developement for the cams and valves (click on the pictures to enlarge): New cam profiles are used, lobes are lightened and their lubrication is improved. Not less than 5 cam bearings are used for each camshaft. 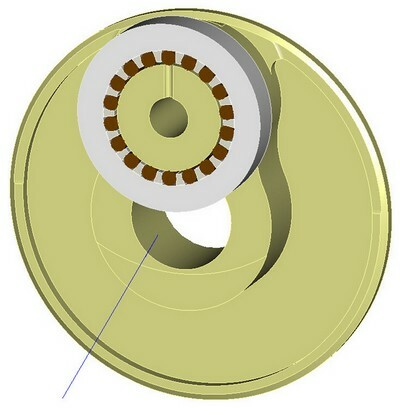 12 pistons and 50 rings have been manufactured in automn. The piston pins are in process of being DLC PVD coated with a new low friction MoNitrate and polishing which features a dry friction coefficient of 0,05 The cylinders are ready getting machined. The 3 copper head gaskets are ready. 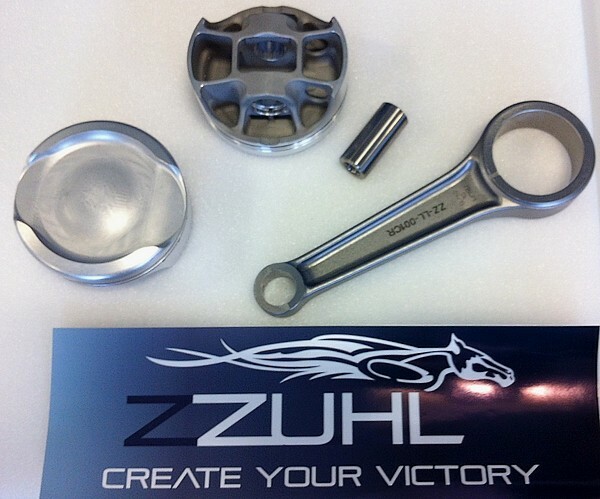 The connecting rods are offered from outside but the order needs to wait until the final cylinder heightis known after machining to adjust the conrod length accordingly. An alternative would be a new molding for cylinderheads, this is what we have in mind at this moment. Casting (Mahle 124 piston alloy T6 Heat Treatment) and machining would be in house. 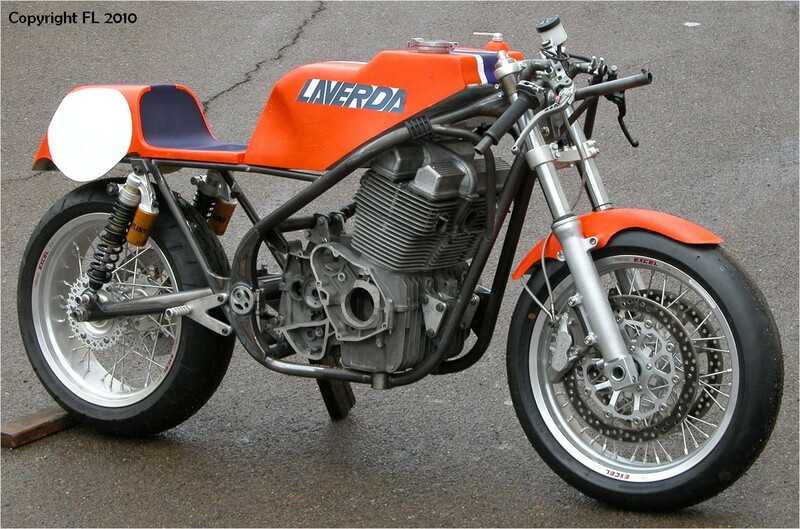 This sounds tempting as all weaknesses of the cylinderhead could be eliminated - still keeping the outside historic looks. 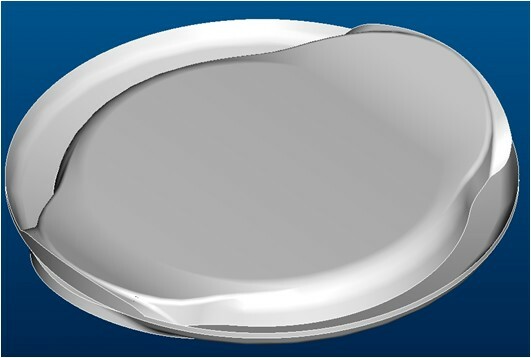 On top of it, space and wall thickness could be provided also for the B88 (B90?) 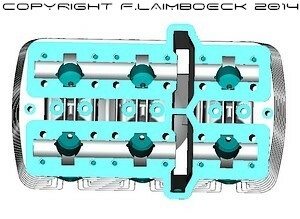 version with relocated stud bolts, maybe with a new cylinder casting too. 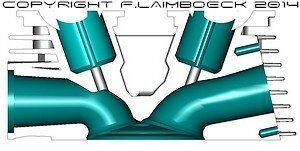 Also the lower camshaft bearing caps could be integrated into the casting and oil passages can be improved. 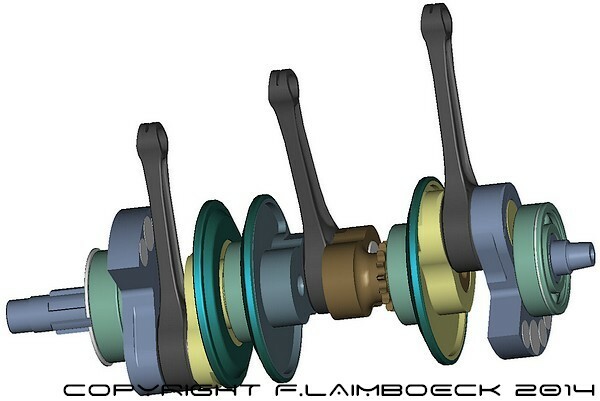 We have also in mind to try to cast-in the valve seat rings to avoid any loosening due to expansion and distortion. 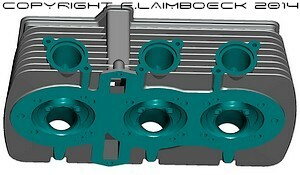 Work on the crankshaft: Here is the latest design of a 180° Crankshaft for the LaiLA B83 1200cc project. 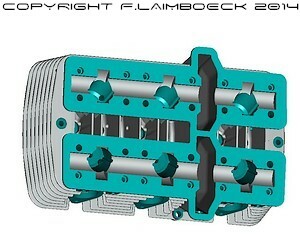 It came out that the total weight of the crankshaft is now 12.100g (compared to the 17.300 g production 180°). It features new L150 connecting rods with D18 piston pin, new bigend bearings with 5X machined Aluminum cage hard-anodized, and numerous heavy -metal Tungsten-Carbide (density 15,6) plugs to arrive at the ideal balance factors at light weight. The balance factors of cylinder #1 and cylinder #3 are 33% and the factor for the central cylinder #2 is set to 10% which - along with the oscillating masses reduced to almost half - results in lowest possible vibration (according to simulation). 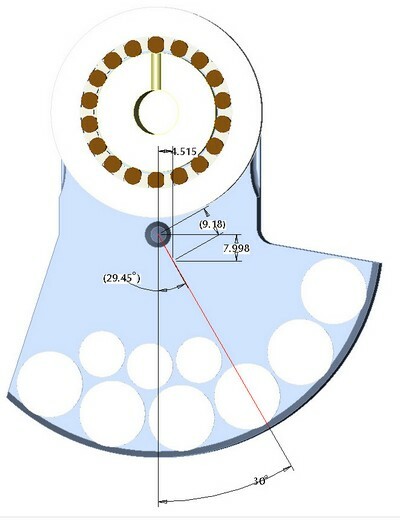 And here is the work on a 240° crankshaft - aiming at most light weight - , it is possible to arrive at a 50% balancefactor of the free 1st order Inertia Moments by simply adding balancemasses only to the outmost crankwebs #1 and #6 which are balancing the free 1st order moments by 50% but also 100% of the rotating masses - as the other 4 crankwebs (2,3,4,5) are left without any balanceweights. 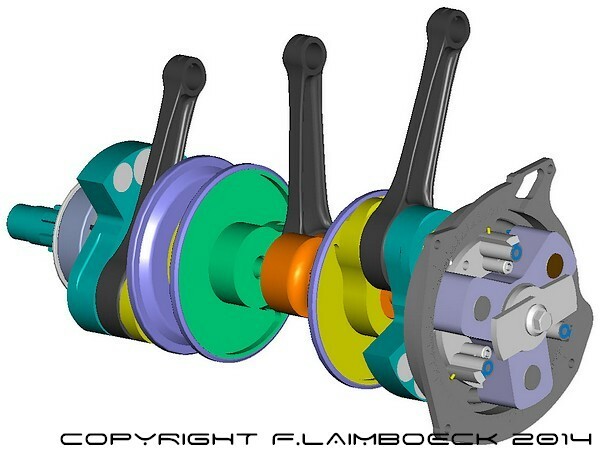 It should be mentioned that the crankwebs of both crankshafts the 180° and the 240° are derived and made from existing 180° crankshafts parts. 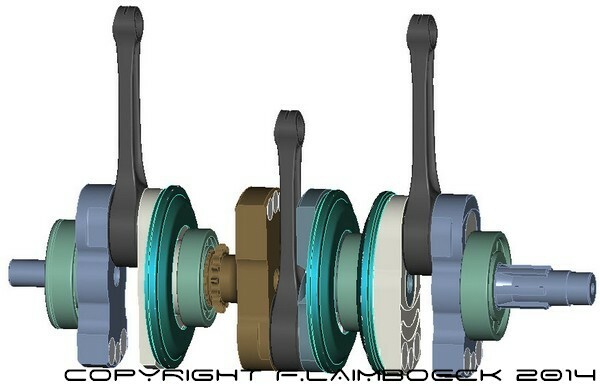 This means that any crankshaft - end can be adopted - to e.g. 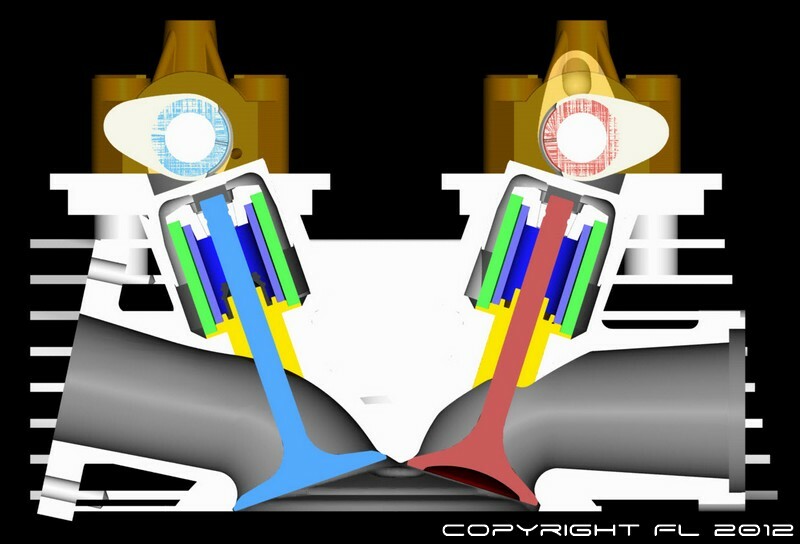 apply the 120° crankshafts' starter, alternator (right side) and ignition (left side). The work is going on for both 180 and 240 degr. 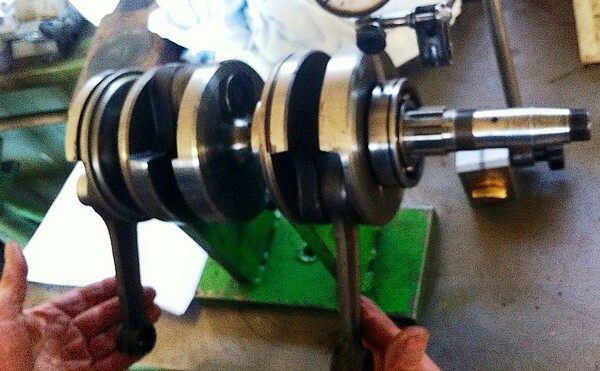 crankshafts. 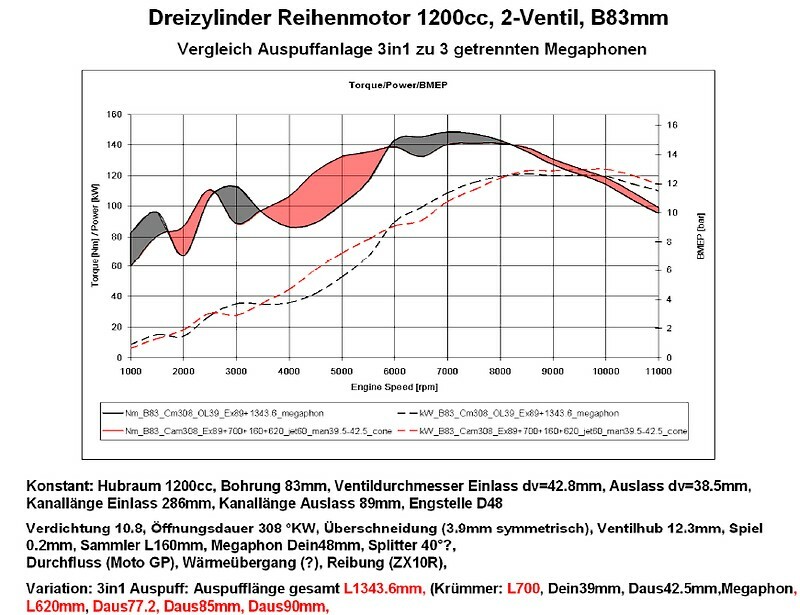 It came out that the total weight of the 180 crankshaft is now 12.100g (compared to the 17.300 g production 180°). It features new L150 connecting rods with D18 piston pin, new bigendbearings with 5X machined Aluminum cage hard-anodized, and numerous heavy -metal Tungsten-Carbide (density 15,6) plugs to arrive at the ideal balancefactors at light weight. 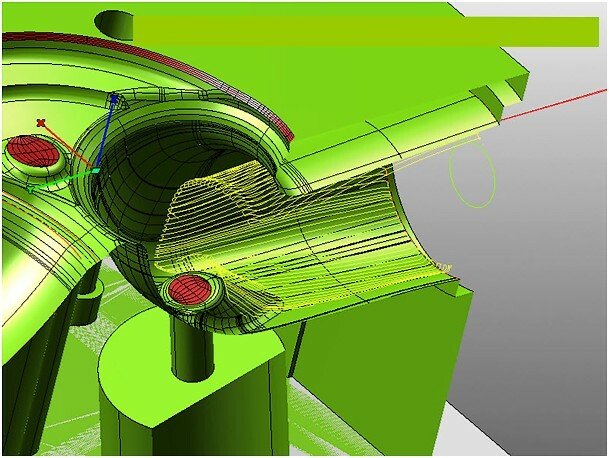 The balancefactors of cylinder #1 and cylinder #3 are 33% and the factor for the central cylinder #2 is set to 10% which - along with the oscillating masses reduced to almost half - results in lowest possible vibration (according to simulation). 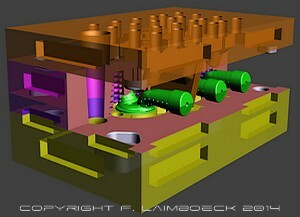 Presently the work on a 240° crankshaft - aiming at most light weight - is in process and it seems possible to arrive at a 50% balancefactor of the free 1st order Inertia Moments by simply adding balancemasses only to the outmost crankwebs #1 and #6 which are balancing the free 1st order moments by 50% but also 100% of the rotating masses - as the other 4 crankwebs (2,3,4,5) are left without any balanceweights. 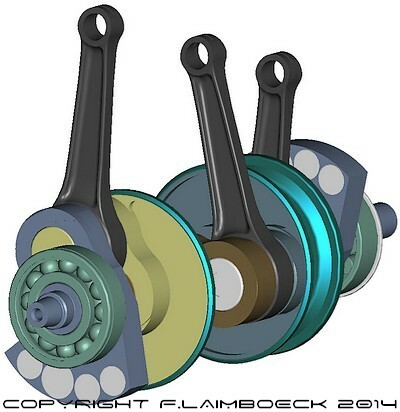 It should be mentioned that the crankwebs of both crankshafts the 180° and the 240° are derived and made from existing 180° crankshafts parts. 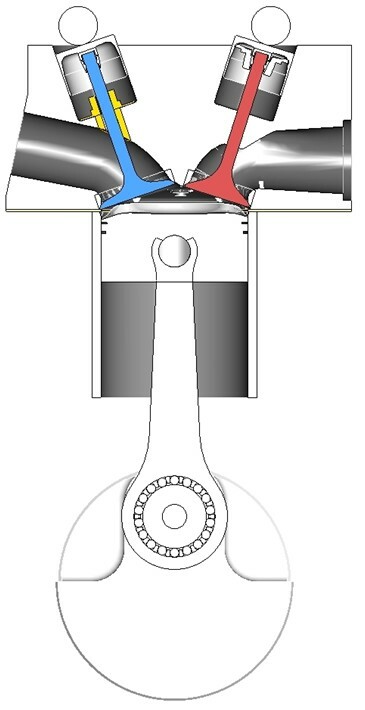 Picture below shows the later design with a Kröber ignition. 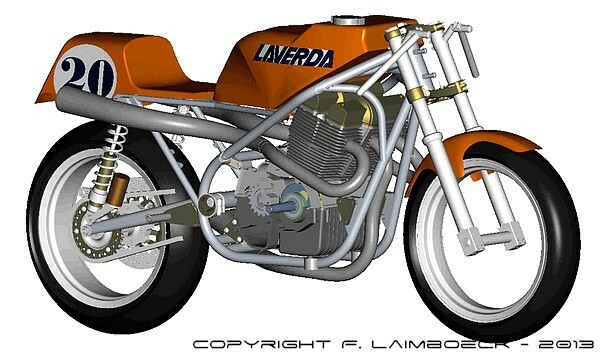 Here an update of the accomplished CAD Design of the Testa B83 with LaiLA Porting. 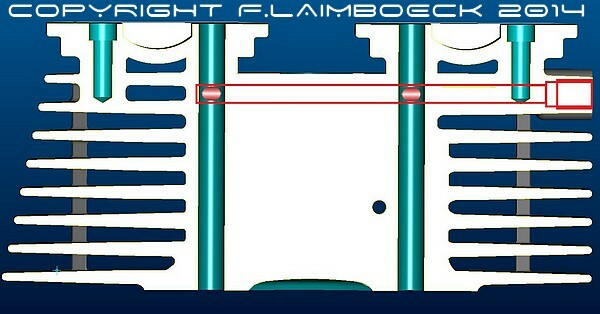 The screenshot areas highlitghted in turquoise are the later 5X machining areas. 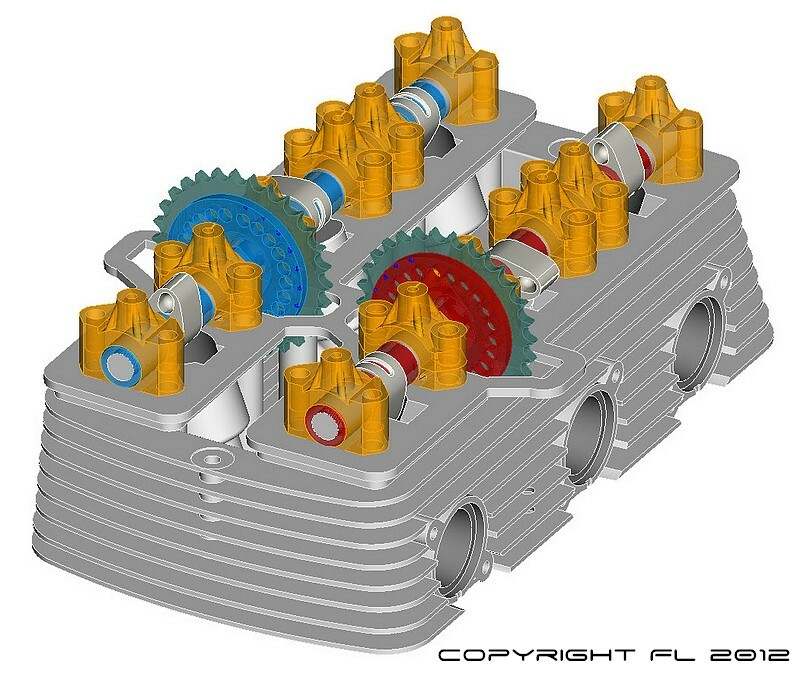 This LaiLA B83 Cylinderhead have all wall thicknesses greatly increased. The combustion chamber sphere has a constant spacer of 17mm, the stud bolt bosses are 18mm in OD, the large LaiLA B83 ports have a min. wall thickness of 5mm all around and the exhaust flanges are massively reinforced. Timing Drive walls are around 7mm thickness although the outside is totally like the original part. Another important point is an improved oiling system : A 6mm drilled hole crosses the far left 10mm stud bolt holes and uses these furtheron for lubrication. 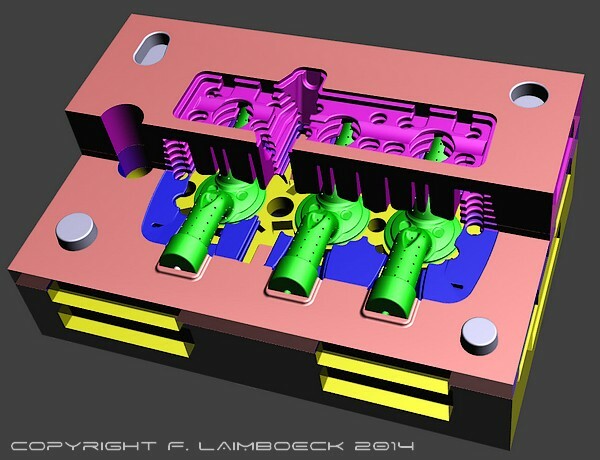 In order to build a entirely new cylinder head, we have done the first layout of the SandSinterForm (3D Sand Printer) molds for the LaiLA B83 Testa Cylinderhead. 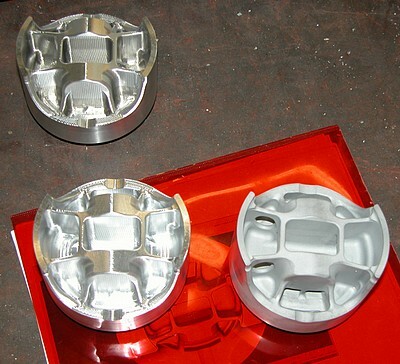 The mold design still requires some refinement to ensure the lowest possible porousity. 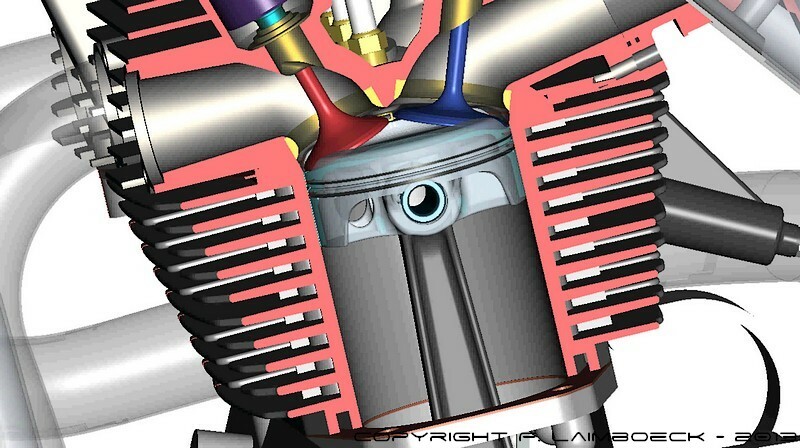 Some cooling iron inserts in the valve seat and spark plug area will help. A possible cast might be in "N" alloy AlSi8Cu3NiMg and T7 heat treatment with cold air quenching to arrive at a 120HB Hardness in the stressed areas. Stay in touch for new updates soon!